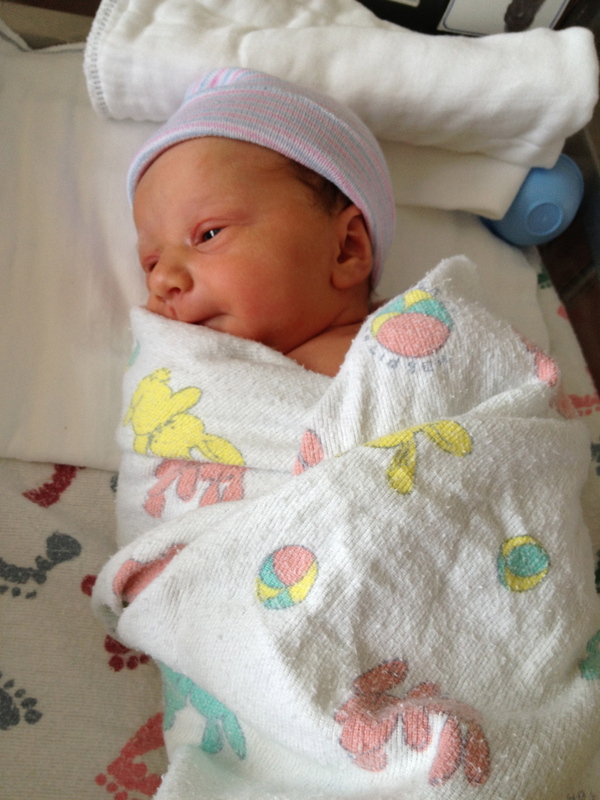 » Birth Story Part 3: The Arrival Wait, what? No! 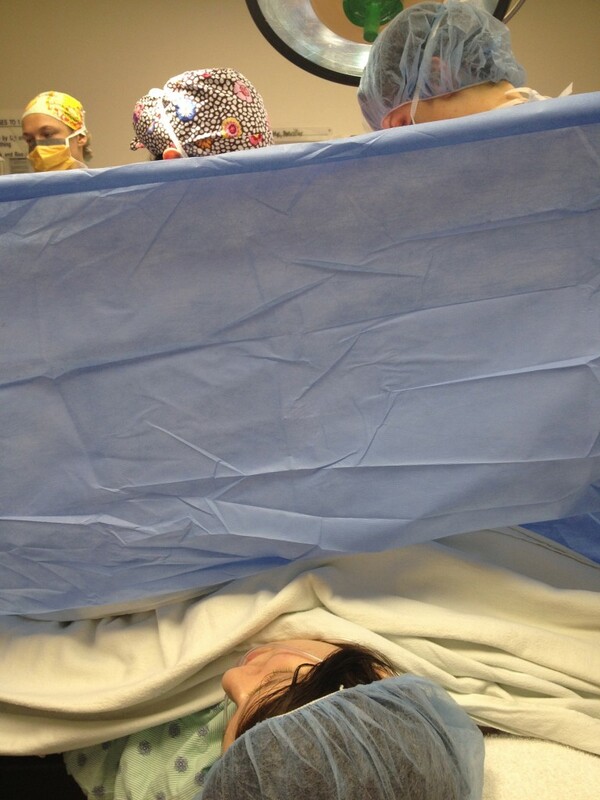 In the OR, I got my third epidural. Well, sort of. The first two failed but I didn’t have to get it placed a third time, thankfully. It felt like a bandaid covering half my back had been ripped off when I had the first removed. I was happy to not go through that again. For the third try, they moved the catheter around to see if repositioning it would make the distribution more even and then hooked me up to a stronger drug. Relying on that after two failed attempts was terrifying. I imagined them cutting, and feeling it all. I expressed my concerns to the anesthesiologists (there were two for some reason) and they did multiple tests to show me how little I could feel and assured me all would be fine. At 2am Monday morning, surgery started. The baby’s head was stuck in the birth canal. They had to make the incision longer and lower than they normally would. One doctor reached into the birth canal and pushed the baby’s head up while another doctor pulled the baby out through my uterus. 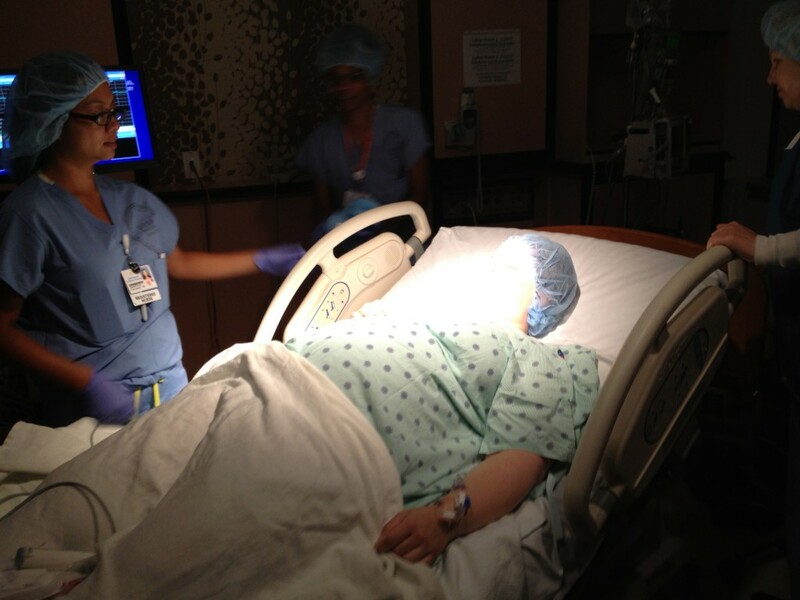 Shortly before they pulled the baby out, my third epidural failed and I regained feeling. I could feel them pushing and pulling the baby out and then moving and checking my organs – not the pushing, pulling, and pressure they told me I would feel. I felt a full range of sensations and pain but I was hallucinating and dissociated and couldn’t fully express what was happening. As soon as the cord was cut, I was given fentanyl and morphine but before they kicked in, I felt every stitch as they started sewing me up. By the time the baby was out, I was uncontrollably shaking and disoriented. The Daddy and I had agreed that if we had to do a c-section, he’d go with the baby and do skin-to-skin while I was sewn up. I needed him though, so he stayed and the baby was taken away. I still feel guilty about the time she was away from both of her parents so early in her life. I feel fortunate that he was able to carry her over to me first. It wasn’t the moment we anticipated but we had our first moment as a family. The Daddy told me all about her as I looked on – her full head of hair and big, alert blue eyes darting around the room. I’m glad that he did – I was too disoriented to focus on those things myself. I wasn’t even aware that she’d been born. Without him there taking me through the experience, I would have completely missed seeing my newborn baby in front of me. Our daughter was born at 2:28am on July 2nd. After all of the worry she caused during labor, she came out looking like nothing had ever happened. The doctors don’t know why she was having so much trouble. They suspect it might have been a cord issue – she had some red marks that made it look like she’d been wrapped in her cord kind of like a seat belt. The doctor thinks her cord may have been pulling back on her and tightening on every push. Since my water broke, there was no cushion and she may have pressed on it when I changed positions. Now that I know her inside and outside of the womb, I think it’s simply a matter of her being a sensitive little person. She got hiccups when I drank cold water. She hated ultrasounds and dopplers and would spend exams squirming away, making it difficult to get her heart rate or get pictures needed for screening. She squirmed and kicked at loud noises. Now that she’s out, she always wants to be held and cuddled and is constantly alert to light and noise. She has busy little eyes and busy little hands, exploring the world around her. She’s my sensitive little girl, inside and out, and that made labor difficult for her. Ultimately the physical part of birth was about her, not me, and she taught me that in a very dramatic way. Long story short: I had a baby, she is great, and now we’re home. Now on to the recovery. Protected: Little peanut is growing up. Ugh, would you tell someone to please stop cutting onions near me while I read this?